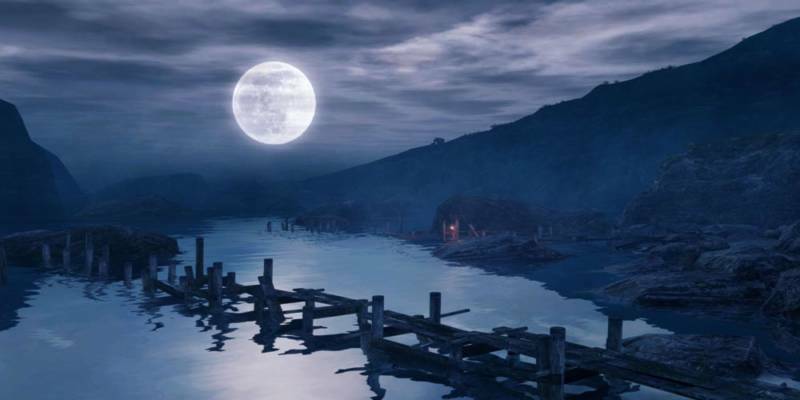 Starting on a small beach, only brooding cliffs and a small lighthouse in sight, BAFTA – nominated narrator Oliver Dimsdale takes you through the game, journeying from a desolate Scottish island, to a car crash on the M5, to a crisis of faith of a guilty heart, to the lost shores of a dreamed shoreline into a final ascent through the waters of madness to the release of flight. 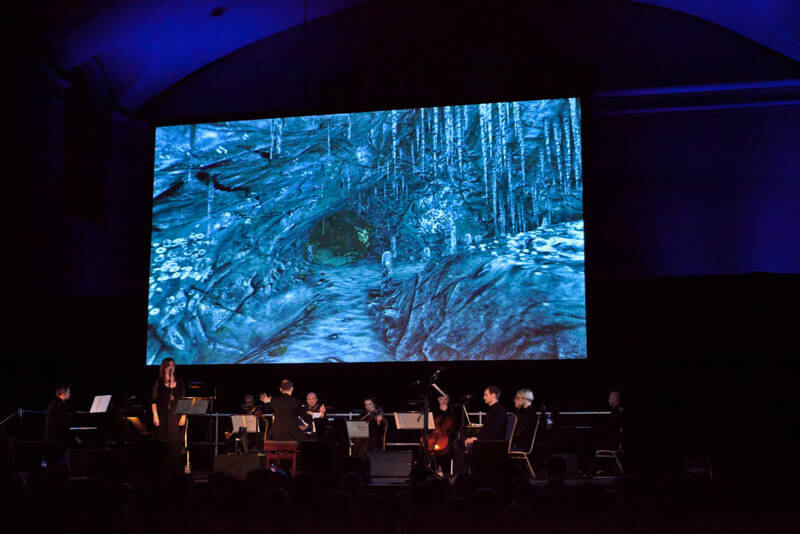 With the play-through of the game on-screen accompanied by live narration and a live performance of BAFTA winning composer Jessica Curry’s powerful score, the story of the acclaimed videogame is brought to life in as a performative work and as never before. 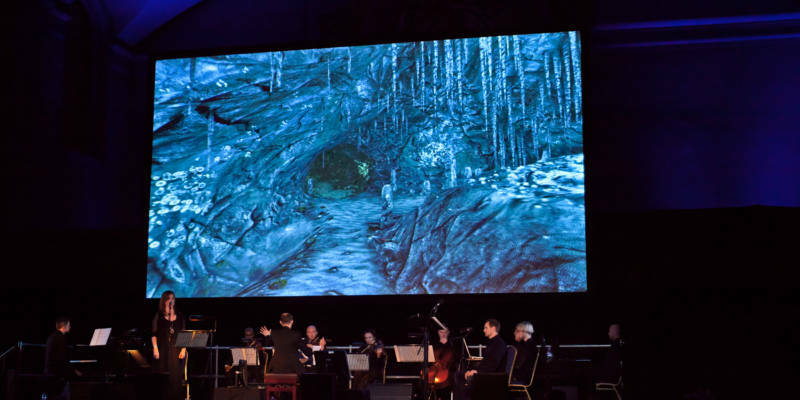 Originally released in 2012, Dear Esther, created by developers The Chinese Room, quickly gained critical acclaim for abandoning traditional gameplay in favour of atmosphere, rich storytelling and extraordinary art, proving videogames are capable of the same musical, narrative and artistic expression as film, visual art, literature and classical music. 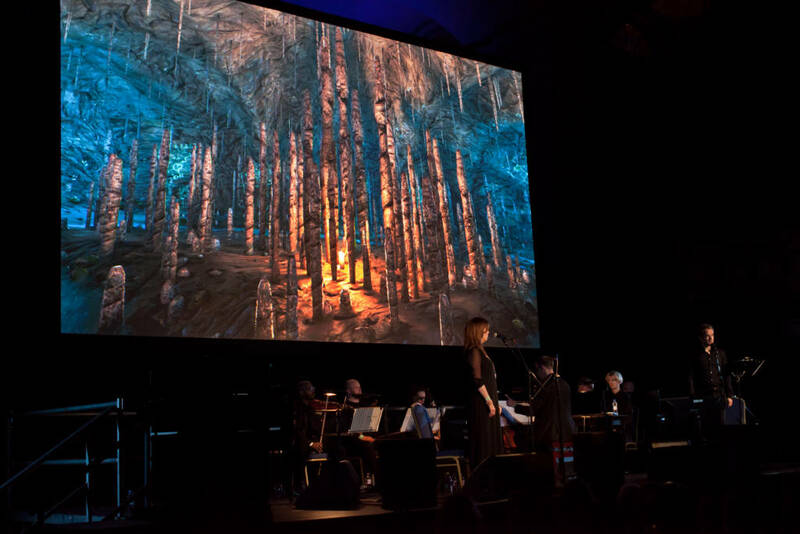 ‘A beautiful and thought-provoking piece of work. 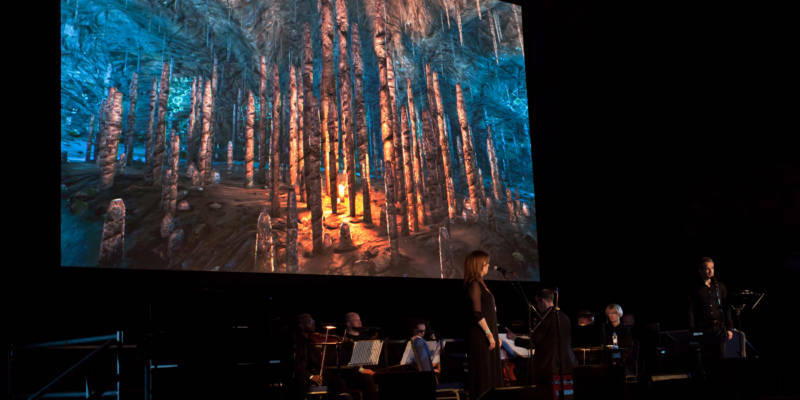 It is oil painting, poetry, eulogy and video game all at once.